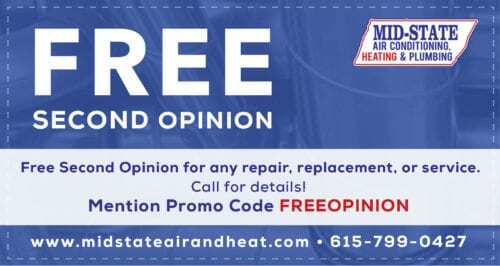 Every year, your air conditioning and heating systems operate for hundreds upon hundreds of hours, producing large volumes of conditioned air to keep you and your family comfortable, no matter what the weather is like outside. For this reason, we highly recommend having regular tune ups performed on your entire HVAC system. 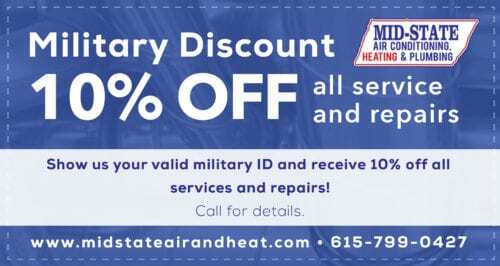 To ensure the best quality service and ensure your heating and air conditioning systems operate at peak efficiency for many years to come, call Mid–State Air Conditioning, Heating & Plumbing today to learn more about our Comfort Club Membership – the perfect solution for any homeowner that wants to ensure their heating and air conditioning system continues to work properly for years to come. 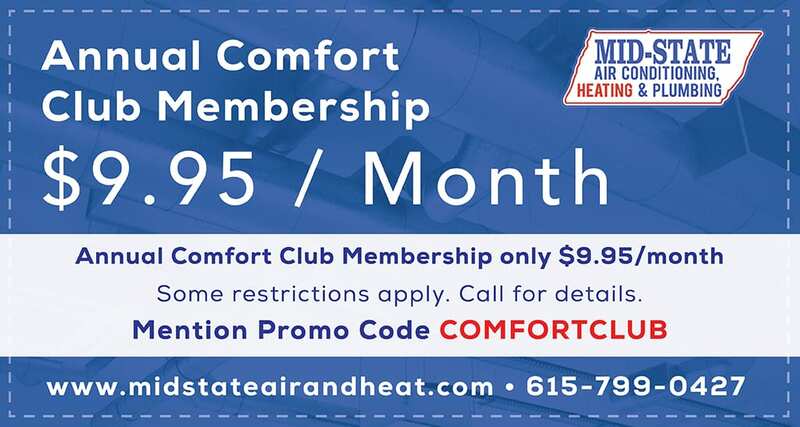 With a Comfort Club membership from Mid–State Air Conditioning, Heating & Plumbing, you will gain many benefits including guaranteed appointments, free services and at least a 10% discount on repairs. You’ll pay nothing for overtime or weekends if a problem should occur. 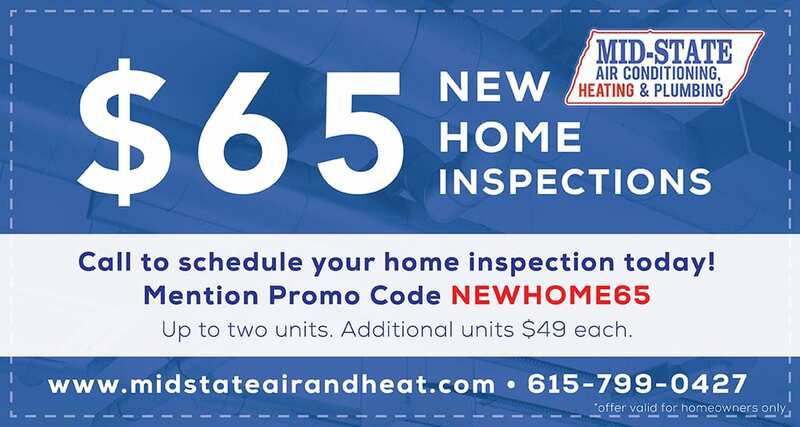 More importantly, we will visit your home on a regular basis and perform a thorough tune up of your air conditioning and heating systems to keep them working at peak efficiency.